How Do I Choose the Right Rehabilitation Center? If you or a loved one is struggling with an addiction to clonidine, you may be ready to get help. Finding a clonidine rehab and recovery center could be the most important decision you ever make. It is never too late for you or someone you love to get help. Who Answers? today for help finding a clonidine treatment facility in your area. Clonidine is a medication primarily used to treat anxiety and high blood pressure. Clonidine works by decreasing heart rate and relaxing blood vessels, which helps blood flow more easily through the body. Ease some of the unpleasant symptoms associated with acute opioid and alcohol withdrawal. Help manage attention deficit hyperactivity disorder (ADHD) in children and adults (in combination with other pharmacotherapy). It is possible for users to become dependent or addicted to clonidine. It’s easier to acquire than other drugs of abuse. Awareness of its abuse potential is limited. Using more clonidine than you originally planned. Being unable to control your use of clonidine. Spending large amounts of time acquiring, using or recovering from the effects of clonidine. Failing to fulfill responsibilities at home, work or school due to clonidine use. Having strong urges to use clonidine. Continuing to use the drug despite experiencing physical and mental health problems. Continuing to use despite relationship problems. Using in dangerous or risky situations, such as driving a car or operating machinery. Giving up important activities and hobbies in favor of clonidine use. Tolerance, or needing larger and larger amounts of clonidine to feel its desired effects. Experiencing withdrawal symptoms when you stop using clonidine, or using it to avoid withdrawal symptoms. If you or a loved one experiences at least 2 of these symptoms over the course of a year, you may meet the criteria for an addiction. If you have become dependent on clonidine, it can be very difficult to quit by yourself. You or your loved one may need professional help at a recovery center to safely and effectively taper off this drug. Rapid rise in blood pressure. Who Answers? anytime to get more information on residential recovery centers in your area and to find out what your insurance will cover. Standard: These are live-in programs where you remain at the center for the duration of your treatment. You receive medically supervised detox services (if necessary), individual and group counseling and aftercare planning. Standard residential programs can last for 28 to 30 days to 60 days to 90 days. Luxury: These programs are similar to standard programs. But they tend to be located in vacation-like settings such as near the beach, and they offer features you’d expect to find at an upscale hotel such as fine dining, spa treatments and horseback riding. Executive: Like luxury programs, executive or CEO programs are more upscale in terms of location and features. But they have special features for executives, such as work paces and meeting rooms. If your addiction is relatively less severe, and you have a good support system, you may be able to seek treatment at an outpatient recovery center. Outpatient programs tend to cost less than inpatient. But the level of care is not as intensive, and you are not removed from temptations and triggers. People who have relapsed before, who have been abusing clonidine for a long period of time and who are abusing multiple substances should consider inpatient treatment. Although most substance abuse rehabilitation centers offer similar types of services, each clonidine treatment facility is different. It’s important for you to choose an addiction recovery program that you feel is a good fit. This will increase your chances of successes. Location. Do you want to travel to get away from your current using environment or stay close to your family and friends? Cost. Find out what your insurance will cover or how much you can afford to pay out-of-pocket. You can call 1-888-319-2606 Who Answers? anytime to find out what your treatment options are based on your insurance. Credentialed and caring staff. Look for a clonidine treatment center that has physicians and staff members who are licensed, certified or have experience treating your addiction. Clonidine withdrawal can be difficult, so having caring, competent staff members can help keep you on the path to recovery. Philosophy. When selecting a treatment center, it’s important to find a facility that has beliefs and practices that you admire and trust. For example, some programs incorporate religious beliefs and practices while others may focus more on evidence-based treatments. Dual diagnosis. If you or your loved one is struggling with a mental health disorder or abusing multiple substances, look for a recovery center that offers integrated treatment for co-occurring disorders (dual diagnosis). Aftercare planning. Make sure the program will work with you on an aftercare plan. Aftercare or follow-up care ensures that you continue to receive support after you leave the program, and it can help prevent relapse. Frequently used aftercare options include 12-step meetings, sober living homes and individual counseling. Short- and long-term program options. Family visitation and attendance at therapy sessions. Many patients are nervous about moving on with their lives after completing a treatment program. Be aware that you may still occasionally have cravings for clonidine, which is why aftercare is important. 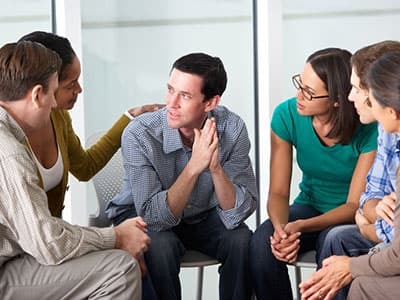 A reputable treatment center is likely to provide you with a list of local support groups and counselors who can assist you with recovery for as long as necessary. It is very important for individuals who are dependent on clonidine to get help as soon as possible. If you think you are dependent on clonidine, or you are taking more of it than your doctor prescribed to you, getting help now can help prevent any social, financial or physical consequences from addiction. Call 1-888-319-2606 Who Answers? today to speak with a treatment support specialist. These representatives can direct you to local clonidine rehabilitation centers that have the services and amenities you need to get well.
. Anderson, F., et al. (1997). Illicit Use of Clonidine in Opiate-Abusing Pregnant Women. Obstetrics & Gynecology 90 (5).
. Dennison, S.J. (2001). Clonidine abuse among opiate addicts. Psychiatr Q 72(2):191-5.
. Hart, G.R., and Anderson, R.J. (1981). Withdrawal symptoms and the cessation of antihypertensive therapy. Arch Intern Med 141(9):1125-7.
. Seale, J.P. et al. (2014). Combined Abuse of Clonidine and Amitriptyline in a Patient on Buprenorphine Maintenance Treatment. J Addict Med 8(6):476-478.
. American Psychiatric Association. (2013). Diagnostic and statistical manual of mental disorders (5th ed.). Arlington, VA: American Psychiatric Publishing.
. National Library of Medicine. Medline Plus: Clonidine. Most alcoholics can't quit on their own. There's no shame in calling for help. Try this free, quick test and find out. Do You Struggle with Drugs or Alcohol in Your Life? Take these quizzes to find out the depth of your addiction. Get a Financial Breakdown of Addiction. Find the daily, monthly, and yearly cost of drug and alchohol addiction. What Recovery Program is Right For Me? Take this quick interactive quiz to find out. Find the right program for you. Need to Talk to an Advisor? What Role Does Addiction Rehabilitation Therapy Play in Recovery? The road to recovery can seem overwhelming. We are here to help. Find the daily, monthly, and yearly cost of drug and alcohol addiction.